Last year 733000 homes in the UK were burgled – that’s two in every hundred. What can you do to reduce your risk and stay safe at home? In this article we look at the types of home protection systems and options for a security-conscious home-owner. Stop laughing! Getting a dog is a proven burglar deterrent. Research by Cromwell (1991) showed that most burglars would avoid a house where a dog is present. Train your dog to alert you to intruders in or outside the house, and the burglar will be even less likely to try his or her luck at an open window. However, we don’t recommend installing a dog as your main home protection – they are far more work than an electronic alarm! Since opportunists carry out most burglaries, you can reduce your risk by taking a few simple (but visible) steps to secure your home. A burglar alarm, visible from the front of the house or the pavement, is one of the best ways to start. There are two types of alarm system: the alarm that sends a signal to the police, and the alarm that only issues an audible warning. The former will be registered with the police, who will be instantly notified in the case of an intrusion. However, 92% of alarm activations are accidental, so the police will weigh up a home alert against their available resources before coming out to your home. If you connect your alarm to a telephone autodialer, you can input a set of neighbour and family telephone numbers, so that someone reliable will be notified of any intrusion. Easier for the home-installer but with a slightly lower reliability record, wireless alarms feature remote sensors to preserve your home decor. The Metropolitan Police advises that any wireless burglar alarm should meet British Safety (BS) 6799 Class 6, and your packaging or quote should indicate this. They’re harder to fit but hard-wired systems are usually more reliable than wireless, unless you’re spending a lot more. Ensure that your system meets British Standard 4737 – beware packaging that claims to meet British Standards without citing that number. If you’re installing your own alarm, you can ask your insurance company for recommended brands and models. Check, at the very least, that the model displays BS 6799 (wireless) or 4737 (hard-wired). Make sure you have enough sensors to cover every entrance into your home, including windows. Wireless alarms are usually quicker and easier to fit than their hard-wired counterparts. If you’re hiring an installation company, ensure that they have the right credentials – if you’ve chosen a remote signalling system then the company should be registered with the local police. 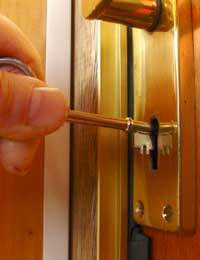 Make sure that they have an emergency maintenance policy, in case the alarm develops a fault. Make sure that the quote for installation specifies an alarm that has been accredited to BS 6799. You’ve got a state-of-the-art burglar alarm and a well-trained Labrador who barks on command. What else can you consider to increase your home security? This is an expensive option, starting at £500 and rising to thousands. For those of us without the means to monitor footage remotely, it’s really a tool for convicting burglars – not preventing them. Padlocked or bolted gates are not much of a burglar deterrent. Use electronic gates to regulate access to your grounds, particularly if your house is not visible from the street. Install these on some of the major lights in your house so that when you’re on holiday, there appears to be someone home. The ‘Smokecloak’ – a new innovation that floods the room with smoke upon intrusion, sending burglars running in the opposite direction.